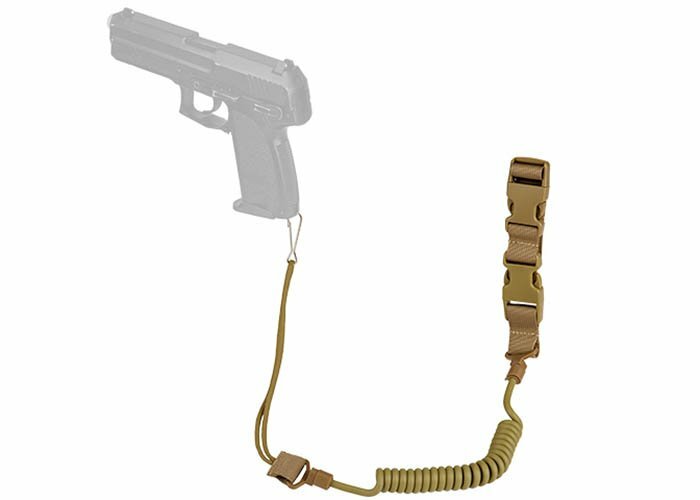 Attach a pistol lanyard sling onto your airsoft gun to be sure that your weapon is secured and available when you plan to use it. In most cases, the blowback of a airsoft gun should not be too much for users, but the bungee system is still nice to have with this lanyard to help with stability. Don't worry about losing your pistol, if you feel something hitting your leg it may likely be your weapon attached to this lanyard. Overall, having a sling on your pistol is a great idea if you like keeping items on you at all times.